Since its development in 2008 by Satoshi Nakamoto, blockchain technology burst onto the scene, improving the way individuals and enterprises maintain ledgers. Previously, ledgers were primarily kept on paper by each person and or company who took part in any particular business transaction. This led to a number of issues ranging from discrepancies between ledgers to fraudulent record keeping. Transitioning to blockchain technology changed much of this. In short, blockchain can be described as the digital version of a ledger (also referred to as a distributed ledger) which allows transactions to be recorded on either public or private peer-to-peer networks, resulting in a chain of blocks that are securely linked via hashing. Trust: Due to the digital and automated process of the transaction recordings, all involved parties don’t have to worry about discrepancies between written ledgers. Also, through the consensus mechanism, invalid data cannot be added to the blockchain. Transparency: Through the network that connects and maintains the blockchain, the ledger is viewable to all those with network access. In the example of Bitcoin, the recorded transactions are viewable to anyone with an internet connection. Accountability: Since the data contained in the blockchain is stored across the network, as opposed to centrally, it isn’t controlled by any one individual or company. Also, through being secured by encryption technology where each block is hash-linked, the recorded transactions are irreversible and immutable. Faster Processing: GPUs permit mass amounts of data to be interpreted, and accessed at the same time with the help of their parallel structure. For example, in Bitcoin mining, this means that the data can be mined faster thus procuring more Bitcoins. Or in the Finance industry, for example, trades can be settled in a matter of minutes where they used to take days. Lower Costs: Blockchain technology itself streamlines business processes but can experience greater productivity when coupled with the added performance of an enterprise-grade GPU. 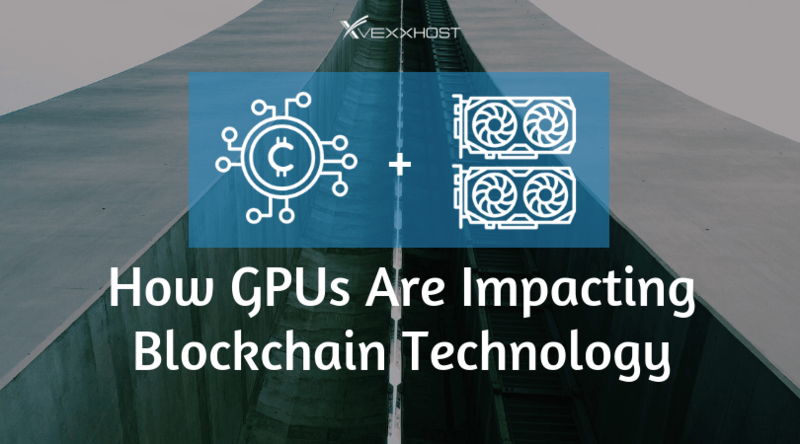 With less time and resources required for the processing of the data in question over the blockchain, through the efficiency of GPUs, the operational costs can be significantly reduced. Increased Flexibility: While the introduction of ASICs chips has challenged the use of GPUs where speed is concerned, GPUs remain widely used due to the simple fact that they are infinitely more flexible. In the mining of cryptocurrencies, for example, GPUs can be applied to different cryptocurrencies and aren’t vulnerable to becoming obsolete due to a simple change in hashing algorithm. With the continuous exploration of how blockchain technology can be used across major industries and the development of different cryptocurrencies, blockchain isn’t going anywhere any time soon. By consequence, neither is the usefulness of GPUs.